Elizabethtown, Ky.—On Wednesday, Elizabethtown Tourism and Convention Bureau (E.T.C.B.) 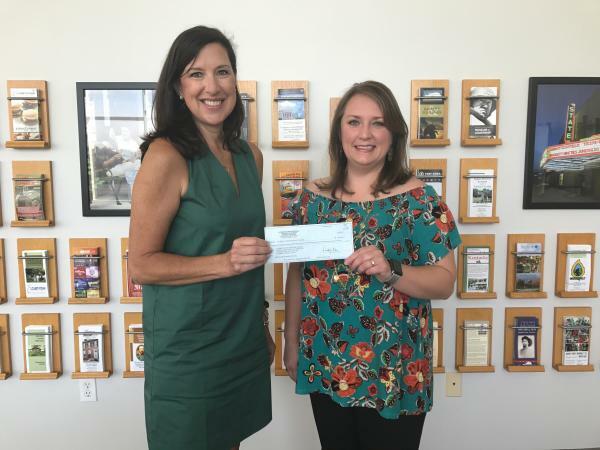 Chairwoman, Heidi Patterson, presented a check for $500 to local organization, Give 270, for the Kentucky Craft Beer Festival, held at the Brown-Pusey House on June 17. Patterson also presented a check for $25,000 to executive director of the Elizabethtown Heritage Council, Krista Levee, for the BBQ, Blues, and Bikes Festival that took place in downtown Elizabethtown on May 27. The Elizabethtown Tourism and Convention Bureau administers funds collected from a three percent (3%) tourist development tax on occupied transient lodging sales and a two percent (2%) restaurant tax on prepared meals. The E.T.C.B. 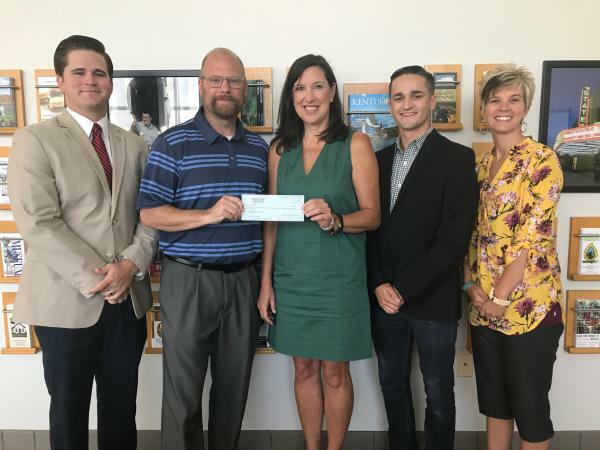 has set aside a portion of the overall budget in a funding program to work with local groups and organizations coordinating special events that may directly benefit the local hospitality industry. To be considered for funding, applicants must demonstrate that an event will attract visitors to Elizabethtown, among other qualifications. The Tourism Board reviews grant requests on a quarterly basis submitted according to application deadline dates.